On Monday evening at 10pm, BBC Two shows the first episode in a new comedy series about the life of the Church of England and its clergy. 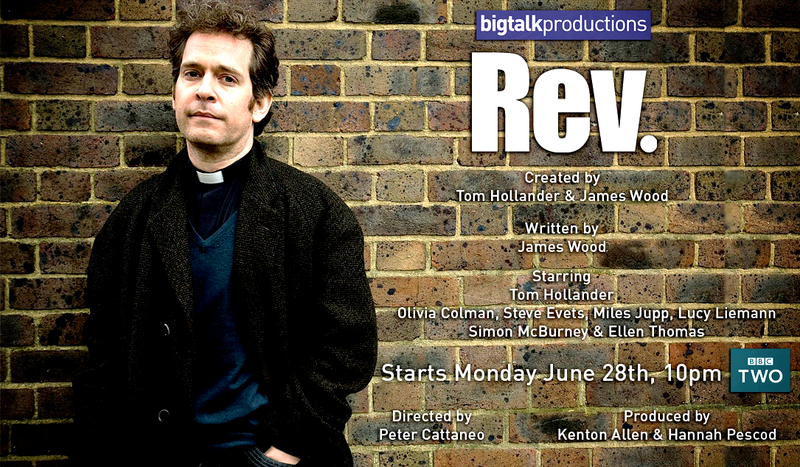 Set in the gritty city (filmed in Shoreditch in East London), ‘Rev.’ is as far from the frothy rural idyll that was ‘The Vicar of Dibley’ as it’s possible to imagine – and pulls fewer punches as it paints an amusing but acutely observed and sometimes punishingly honest picture of the Church’s struggle to minister, to proclaim faith and to maintain integrity in an urban context. 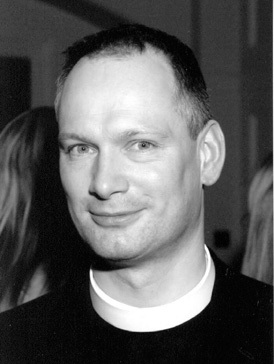 It focuses on a clergyman – The Revd Adam Smallbone – a good man who is compassionate and committed but who sometimes struggles to see the connection between his ‘vocation’ and the reality of church life and who lives with all the frustrations common to most clergy. If the fictional and failing ‘St Saviour’s’ seems a world away from our own fuller and more confident St Paul’s Knightsbridge, it is, though many of the issues are recognisable: the church as a place where transcendence, vision and hope meet (and sometimes clash with) all-too-human frailty, need and wilfulness; ‘big’ characters who are unaware of their impact on others; the tensions of holding onto church as a place of encounter and holiness while at the same time making sure that as a business it is financially viable; the internal politics of an institution obsessed with market ‘success’, still in hoc to the legacy of the past and to powerful societal expectations and projections. You’ll also recognise some of the actors: Tom Hollander as the reassuringly human vicar (he read, and lit our Christmas tree, at the Foundation event a couple of years ago) and Alexander Armstrong ((congratulations, by the way, to him and to Hannah on the birth this week of Edward) who’s a worshipper here) as a pushy parent and local MP who wants to get his children into the local C of E School. Will it go down well? I suspect that some will be a little shocked at the honesty – many may feel it is irreverent. But if so, it is worth living with your discomfort. ‘Rev.’ is certainly witty, but also well-observed and absolutely of the moment. Watch and enjoy!